Our client, Miss D, suffered a peri-arrest due to a lack of input from appropriate doctors or the Critical Care team, despite having a high ‘Patient at Risk’ score and observations on admission and an early suspicion of urosepsis. Miss D had a history of a kidney and liver transplant when she was 12 years old. This required her to take immunosuppressant medication. She had suffered with urinary tract infections regularly thereafter and had required hospital treatment for IV antibiotics on many occasions for this. On one occasion Miss D was admitted to A&E at Maidstone Hospital, Kent at 3am with abdominal pain, nausea, vomiting and a temperature. Paramedics believed she had a kidney infection. She was seen by a doctor just over 1 ½ hours after arriving and was prescribed paracetamol. The plan was to start IV antibiotics and fluids. Miss D’s observations showed her ‘Patient at Risk’ (PAR) score was high (5) and her blood tests results also revealed signs of infection but despite this no further medical input was undertaken. It was not until 7am that she was seen by an A&E registrar who diagnosed urosepsis and recognised that Miss D’s immune system was suppressed by her medications. The A&E registrar was advised to seek guidance from the renal unit at Guy’s Hospital. The registrar ordered cultures and an ultrasound of the renal tract. Despite the correct diagnosis being made a differential diagnosis of renal transplant rejection or pyelonephritis at 7.44am. Miss D continued to be very unwell with this reflected in her blood results and observations. At 8am she was reviewed by a consultant who requested advice be obtained from Kings College Hospital and to continue antibiotics. By 8.15am Miss D’s PAR score had risen to 7. She was hypotensive (low blood pressure) with tachycardia. At 11am Miss D’s case was discussed with Kings College who discussed alternative immunosuppressive therapy and a change to intravenous hydrocortisone in view of Miss D’s vomiting. Despite her deteriorating condition, for a six hour period, between 11am and 5pm there was no record of Miss D receiving any pro-active medical input by a doctor. At 4.45pm the observations shows Miss D’s respiratory rate was very high and her blood pressure was very low. Her PAR score had climbed to 9. At 5pm an emergency call was made to the ICU team. Miss D was found to be profoundly hypotensive, cold and clammy. She was diagnosed with septic shock and hypo-adrenalism. Miss D remained in ICU for two days and was discharged a week later. As a result of the peri-arrest and significant hypotension Miss D suffered with significant organ hypo-perfusion, for at least 2 hours. Following her peri-arrest Miss D suffered with symptoms of post-traumatic stress disorder. Miss D had suffered with psychiatric symptoms in the past which were reactivated and worsened by the trauma of the peri-arrest. This led to an exacerbation of self harm and reactivation of her suicidal ideation. Miss D instructed Rebecca Morgan, specialist clinical negligence lawyer, to pursue a claim for damages on her behalf. Rebecca obtained medical reports from experts in A&E, anaesthetics and psychiatry. Rebecca successfully obtained an out-of-court settlement of £50,000 to compensate the claimant for their pain and suffering and her future psychiatric treatment needs. 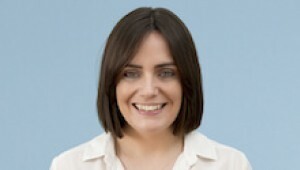 Rebecca specialises in accident and emergency cases. If you would like to ask Rebecca a question about a potential case, or if you have a general query about any personal injury, contact Rebecca Morgan at Thomson Snell & Passmore solicitors on 01892 701210 in confidence.